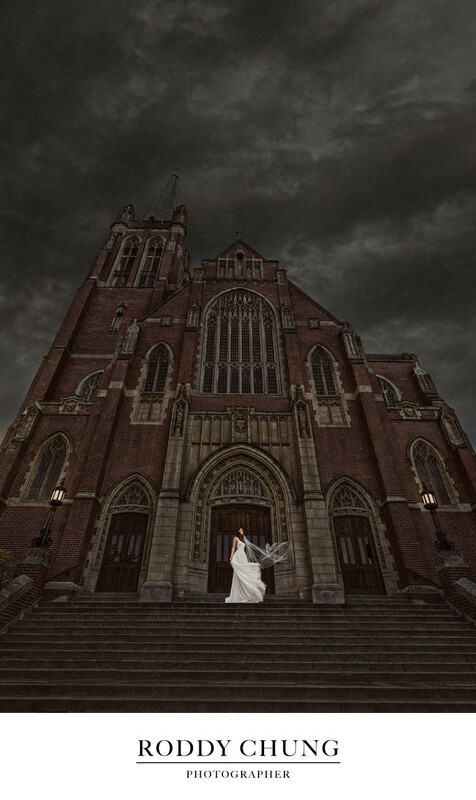 This stunning portrait was taken at Blessed Sacrament Church in Seattle. The historic church has been around since 1908. It's one of the oldest churches in the area. The architectural details of the church meticulously set the tone on this photograph. I often tell my clients - if you can choose just one image that defines your wedding day, what would it be? For me I want that image to be epic, aesthetically powerful, and something you'd be proud to get a large print on the wall. As a fine art photographer, I don't just deliver digital negatives. I deliver art. Location: 5050 9th Ave NE, Seattle, WA 98105.